Just more once being able to use a rig equipped with 100 moving lights and presenting your own light show live for an audience – surely that’s what many lighting designers in the making dream of. Now this dream can come true if you apply for the Hog Factor. This is where tomorrow’s lighting artists will be put to the test. Since 2015, the competition has offered creative emerging artists the chance to present their ideas and skills to a large audience. This tradition will be continued this year at the High End stand in cooperation with LMP Lichttechnik. 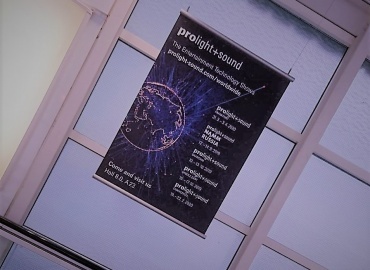 Visitors at Prolight + Sound 2018 can experience it live on April 11 at 5 p.m. in Hall 4, stand D59. We are greatly committed to the next generation, which is why we carry out a great number of workshops and training sessions at school and institutions of higher education. The Hog Factor is another part of these efforts. The competition is a good opportunity for emerging talents to present themselves and their skills, meeting up with potential employers or networking with experienced lighting designers. This year all students, trainees, or school students at least 16 years in age can register on the High End Systems website. Participants have to program the song “Never Give Up” by Sia and submit a video by March 23. The song from Sia is dynamic, demanding creative design and a good sense for finding the right cue points. Three finalists will be selected from all the projects for the light show on April 11. They will be joined by a fourth team – chosen as a ‘Wild Card’ as the winner of the PLASA 2017. An international jury will select the winner after the live performances by the emerging artists. Having the finals at Prolight + Sound 2018 is no coincidence. 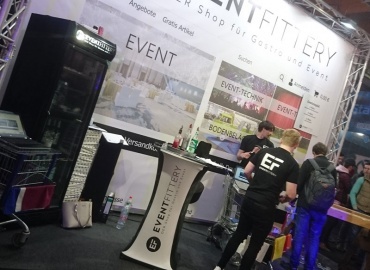 According to Marx, the event is the most important trade fair for high end. The company would like to take advantage and bring young and old in their interest in event technology together.